Tales of adventure travel from an eccentric chap with a skewed sense of "acceptable risk"
I start on a sad note today, but one that is important for understanding this country and the situation in which many people find themselves. News reports today include a horrific story of a woman named Kepari Leniata who was burned alive for being a witch in front of a large crowd in the Western Highlands of PNG. She was 20 years old and a mother. She was murdered because some people believed that she had used witchcraft against a small boy who had died in hospital on Tuesday. Apparently, witch burning is becoming quite common in this country, though rarely so public. This is a heinous crime, committed by ignorant outlaws whose values and mindset come directly from the Dark Ages. Such thinking has no place in the modern world. If ever one needed a case for universal education, this would be it. I have heard people say that we should just leave Developing Countries to their own devices and concentrate on improving our own countries. I have to disagree. The world is not that simple. 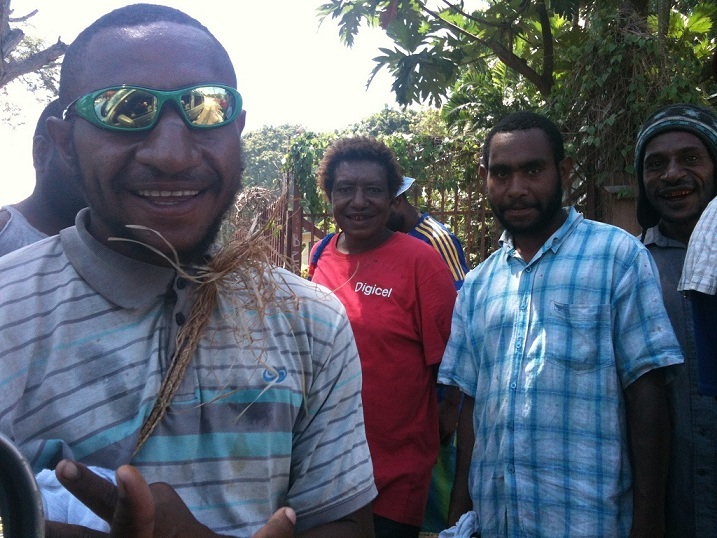 We are all interconnected and the events of one country – even a small and distant country like PNG – have ripple effects throughout the world. The fact is that if the population is not educated then superstition is allowed to flourish and people get burned as witches. We cannot just stand by and let this happen. Superstition and ignorance must be tackled head-on because when we ignore them, there is a cost to all of us. In other news, all is well after the Tsunami scare yesterday. It was caused by an earthquake measuring 8.0 in the Solomon Islands (next door to PNG), where is caused a tsunami about 1 metre high. It damaged three villages. 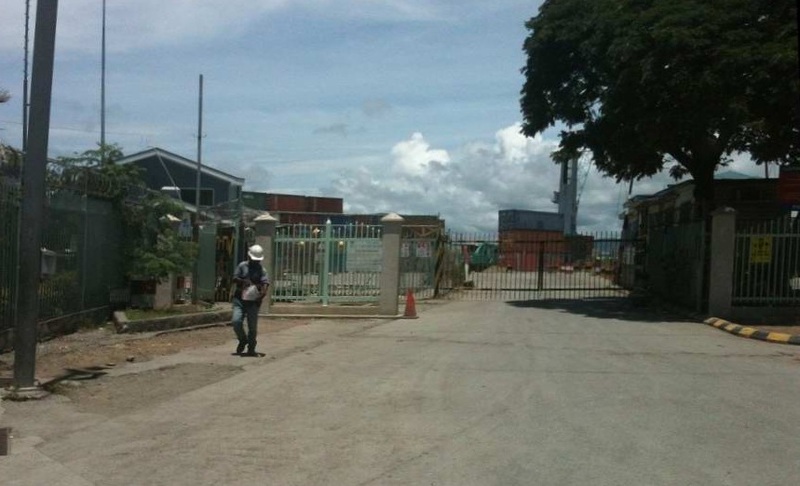 Here in PNG we had an official Tsunami warning, but it was a bit of an anti-climax. I was wondering if I might to see it come in to the port from my office window but we were spared altogether in the end. We were quite a way from the epicentre. A good portion of this week has been spent trying to get a project car organised. It will make a huge difference to me having a car because taking taxis everywhere has been most painful. The taxis are often in a state of disrepair – clunking along with parts grinding and bumping uncomfortably because the suspension is damaged or just no longer attached the car. My Filipino colleague, Eve, learned a new English expression this week while riding in a taxi: “Clapped Out”. Taxis are just too unreliable. For example, I did a big grocery shop last week and then went outside with a trolley (shopping cart) full of food. There was a row of taxis waiting out the front of the supermarket. As I approached the first taxi to engage its services, a truckload of police arrived. They poured out like furious ants, and started inspecting the taxis to ensure that they were licenced and complying with the relevant regulations. There were four or five taxis in the rank and it turned out that the entire queue was unlicensed and operating illegally. 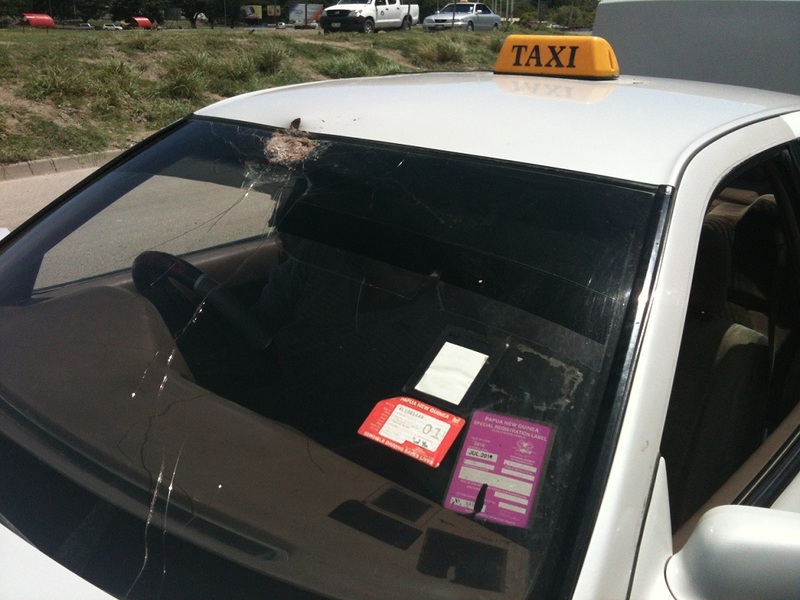 The police were none too kind – yelling at the drivers and tearing the yellow “Taxi” signs from off the top of the cars (some of them were only held on with masking tape). While I am all in favour of regulation and compliance checks, this particular piece of enforcement left me standing there with no taxi to take my groceries home. 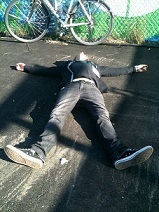 I tried to hail the next cab that came along, but he too was pulled over by the police and found to be unlicensed. This happened two or three more times before finally a taxi came along that had the requisite three (“Not two – they must have three”, the policeman told me) stickers on the windshield. I took my groceries home and raced back to the office but I was late for my meeting as a result. I had to explain that I was the unwitting victim of a police raid on illegal taxis. 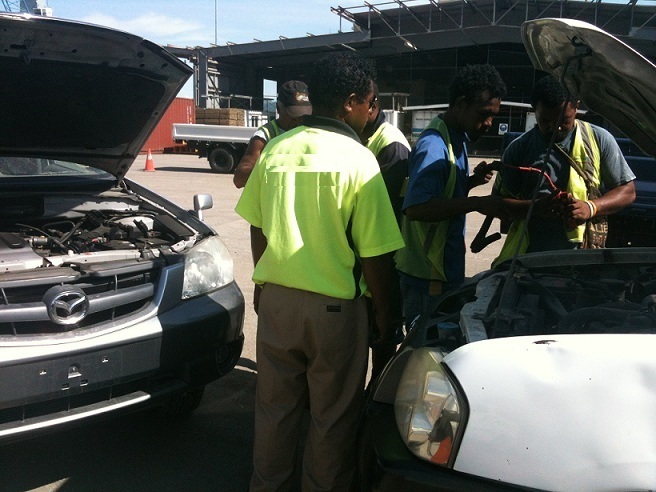 But taxis are not such a aproblem any more because this week’s big news is that I was successful and I now have a project car and a Papua New Guinean driver’s licence. So my mobility has increased substantially. I feel like I’m 17 again and I have the freedom that comes from having my own set of wheels (well, shared wheels anyway – it’s available to all of the project team members). 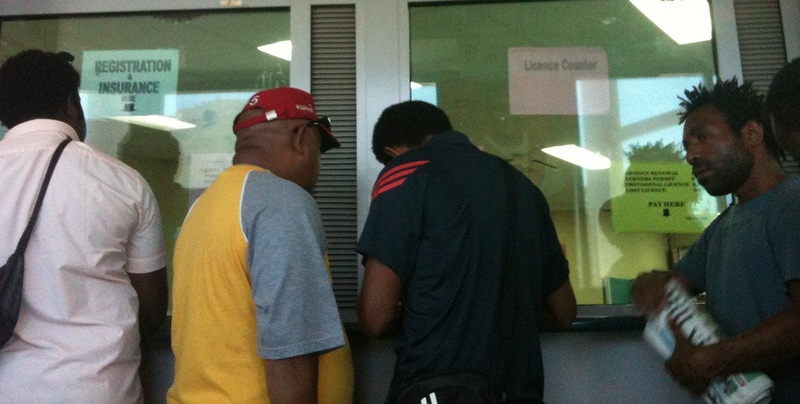 The experience of getting the car and the licence was fairly typical of PNG. Lots of bureaucracy – being sent back and forth from one building to another for various elements of the process. Forms completed in triplicate, signed, stamped, witnessed etc. I always have in the back of my mind that the difficulty could just be a tactic by someone trying to obtain a bribe. But no, apparently, that was just me being cynical – most of the time, the slow processing can be traced back to a combination of inefficiency and paranoia. The project car arrived over a week ago but having it released from the shipping depot was quite an ordeal. We had all of the paperwork and we had paid everything that was required but we still couldn’t collect it because the process had taken so long that we had to pay a storage fee. I found the building (it was the fourth one that I tried – the directions that they gave me sucked), and then found the right window – a tiny opening with bars in front of it and a big steel cage all around it. People were jammed into the area around the stairs leaning on the steel rails. I queued up for about twenty minutes to pay the fee. The staff were frustratingly slow at every step. They don’t communicate what’s happening and ultimately it is clear that they really couldn’t care less about the customer experience. I’m guessing that customer satisfaction ratings don’t feature heavily in their performance assessments. 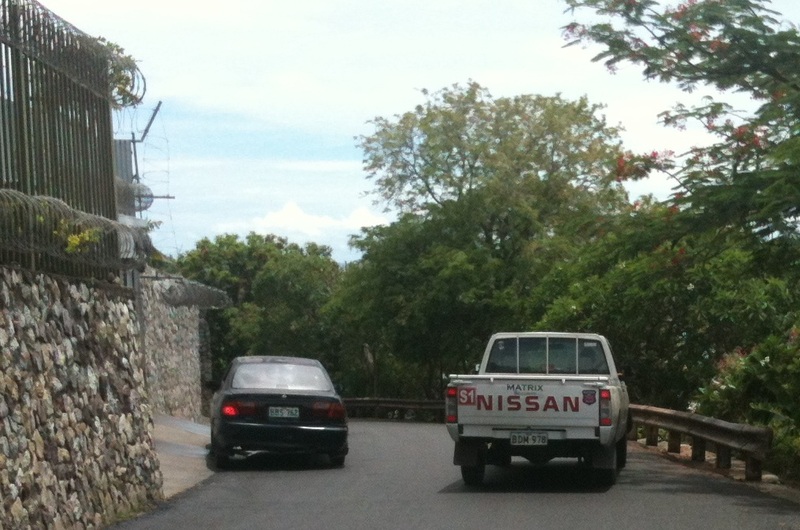 I finally managed to pay and receive my receipt and then went rushing over to the compound to collect the vehicle. When I approached the gate, I discovered that the whole place shuts down at 15:00 and it was 15:10 so there was no way that I could get the vehicle out that day. I had to return in the morning. So I showed up first thing the next day, fifteen minutes before they open. I was told that I wouldn’t be allowed into the depot without a temporary pass. I walked about 200 metres to the other building to get the pass. I asked the guard where to go for passes and he said “go left” while pointing to the right. I went left and found that I should have gone where he pointed, not where he said. I obtained my temporary pass and then went back to the depot. They informed me that I couldn’t get in without a fluorescent safety waistcoat. That caused much consternation and a search ensued. Eventually, someone produced a spare one and lent it to me. I then found the car and the office with the keys. I tried to start the car only to find that the battery was flat. So one of the guys organised some of his lads to bring a vehicle around and they produced jumper leads and charged the battery. But then the car still wouldn’t start because it had no fuel in it. So I gave them some money and they disappeared and came back with two litres of fuel. We put that in and reattached the jumper leads and this time the vehicle started. 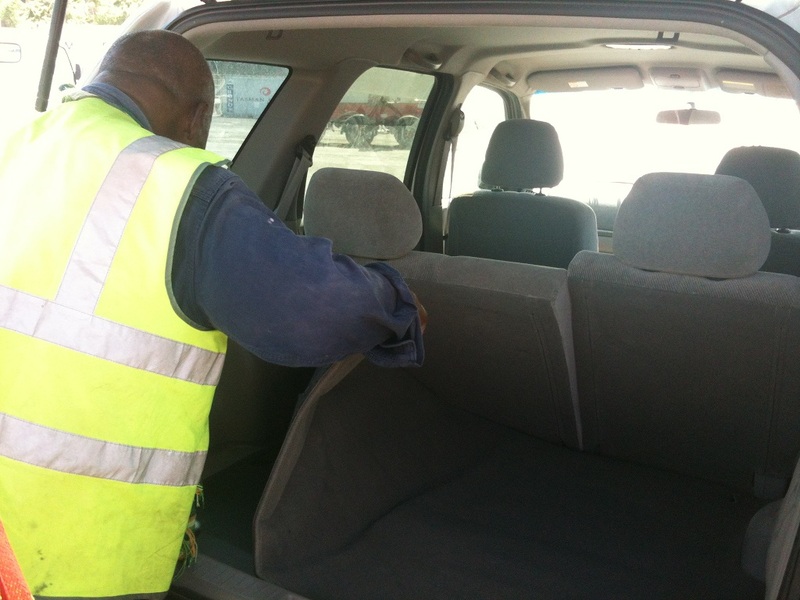 Finally I was able to leave and take the vehicle to get registered. 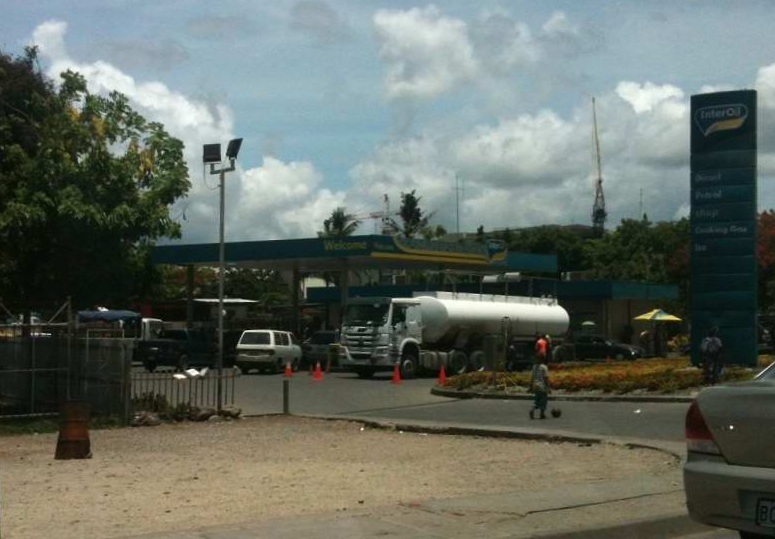 However, my first destination was a fuel station up the street. Getting the car was a slow and painful process but the project now has a car, which means that I am no longer at the mercy of taxis. The next step was to get my licence converted to a PNG version. I went to the Department of Motor Vehicles (known as the RTA, ICBC, etc. depending one where one is from). 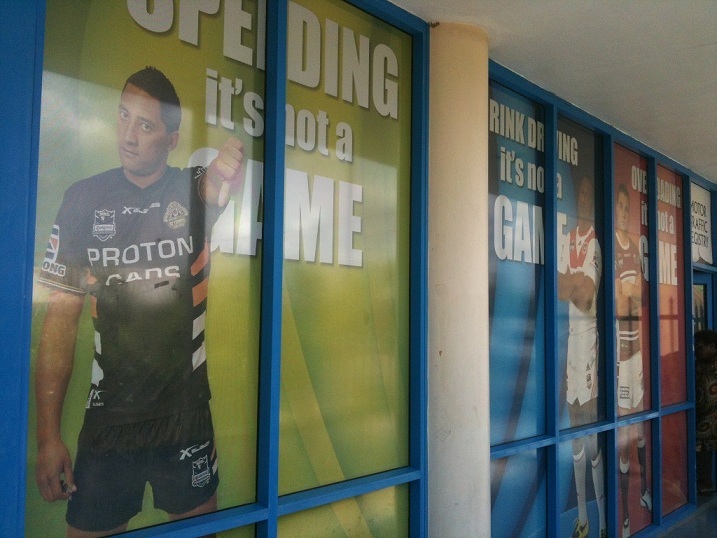 They have been running a road safety campaign featuring photographs of famous players from the Australian Rugby League scene – they are heroes here in the same way as Ice Hockey fans are adored in Canada. It is widely agreed that the campaign has done little to improve safety, but people do like the big, colourful banners. 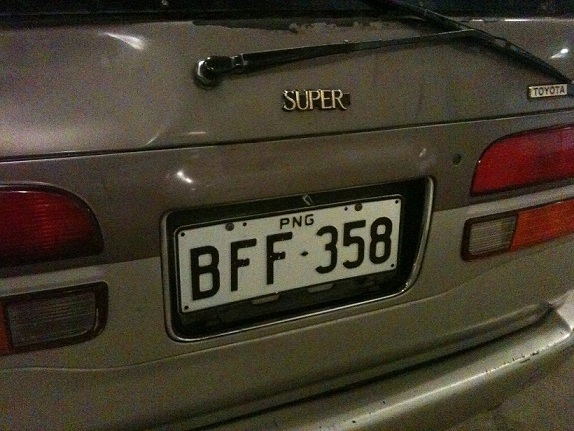 It took roughly two hours to get the car registered and my shiny new PNG licence. Most of that time was spent waiting around in various queues within the building. The place was hellish – just like they are everywhere in the world. This one had bullet-proof glass everywhere to keep the bad guys out. Although, they can’t really be taking security too seriously – the video camera in the corner was unplugged with the connecting wire hanging down flacidly. So now I can drive and the last couple of days have been much less stressful as a result. Althoough, Owen claims that a completely different personality emerges when I get behind the wheel of a car. He asked me to drive home from the supermarket today. He said, “You can drive. You look like you need to get some aggression out”. When we arrived back at the office, I said, “You’ll note that I remained quite calm for most of that journey. Sure, I used the F word once and a flipped a guy off, but that’s pretty good for me”. Thanks for all of your comments and feedback, please keep them coming. 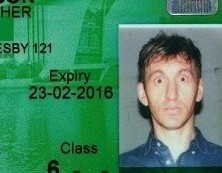 Chris, you saw your license photo is “…kind of comical”. I have to say that is quite an understatement. I was laughing out loud. Let us know how the company car compares to your Mustang back home. Chris, you licence photo looks like someone jammed you in the backside with a pin on a stick!! 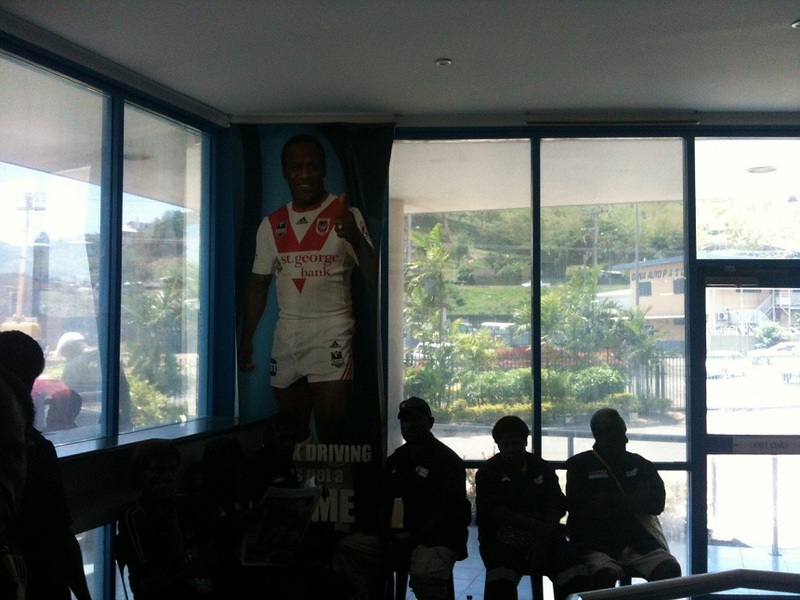 Hope you enjoy your time in PNG. Will follow your postings with interest. I know! It’s ridiculous. I laughed out loud in the DMV when I saw the photo. The people around me turned and looked. They must have been curious as to why my new licence would make me laugh. I showed a couple of people around me in the queue.